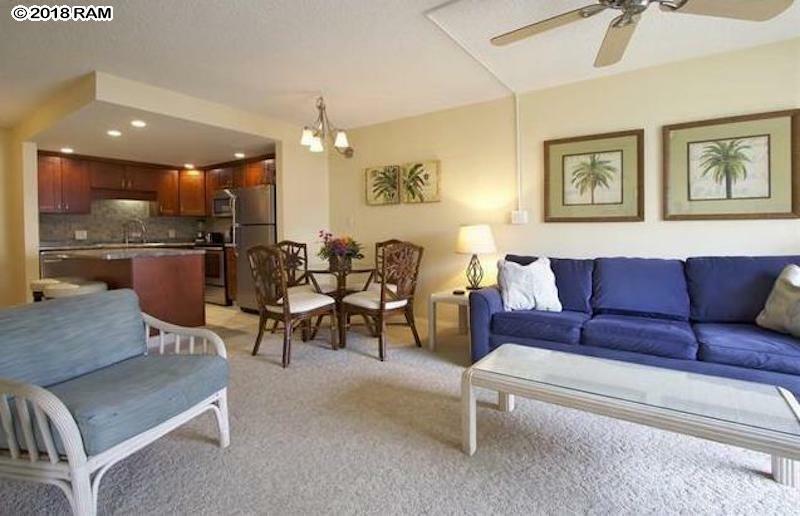 A "Turn-Key" 1-bed / 2-bath vacation rental condo property offered fully furnished with the included inventory. Unit# H-210 has been well maintained and with a kitchen that has been fully renovated in the recent years. This condo offers air conditioning and has a partial ocean view. Maui Banyan is set just across S. Kihei Rd. from the popular Kamaole Beach II and also conveniently located nearby for short strolls to select gift shops and many family restaurants. 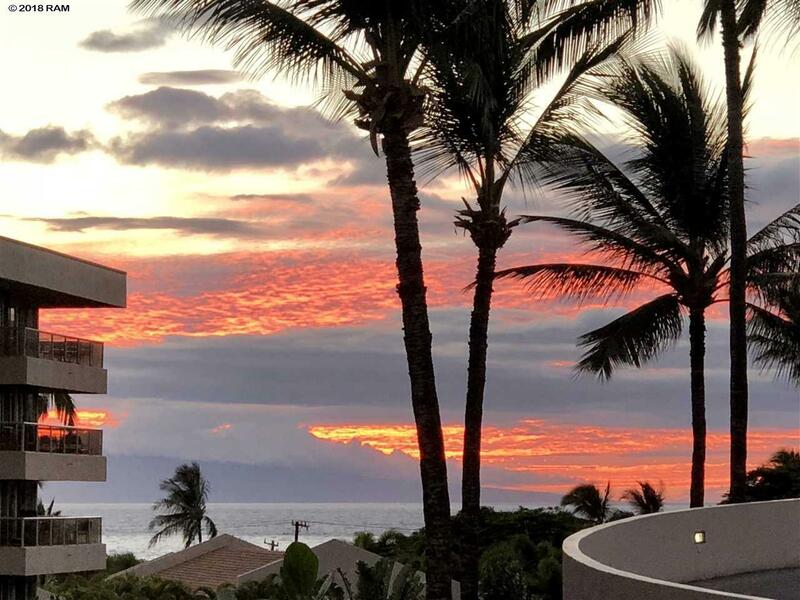 The resort property offers guests two renovated pools, each with separate BBQ areas, cabana, and Jacuzzi and there is also a tennis court and reserved unit parking under the only concrete parking garage for a resort in this area of Kihei. Pets okay with restrictions from AOAO. 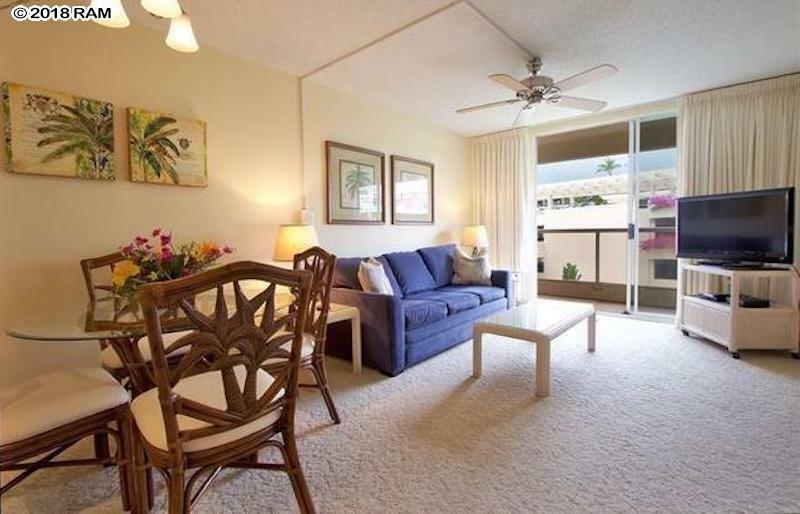 Maui Banyan #H210 is being rented through an active vacation rental program, so showings are subject to availability. 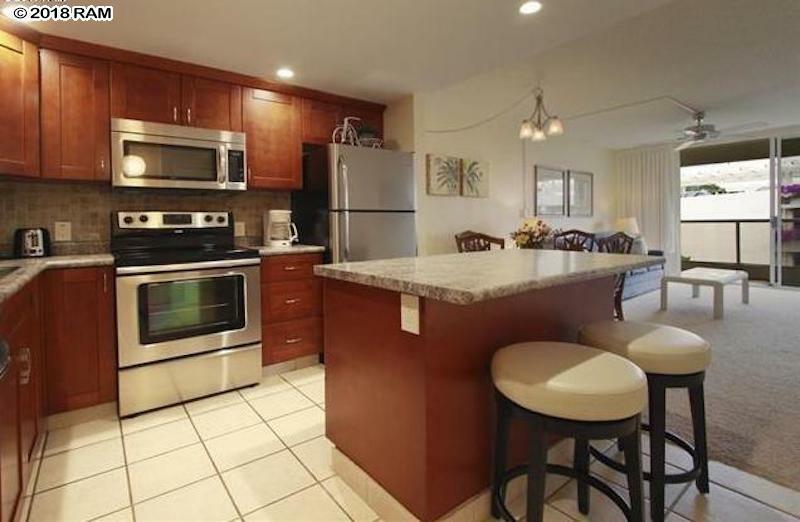 Showings are by appointment only so call your favorite Realtor today to see this S. Maui gem.